Mingtai Al. 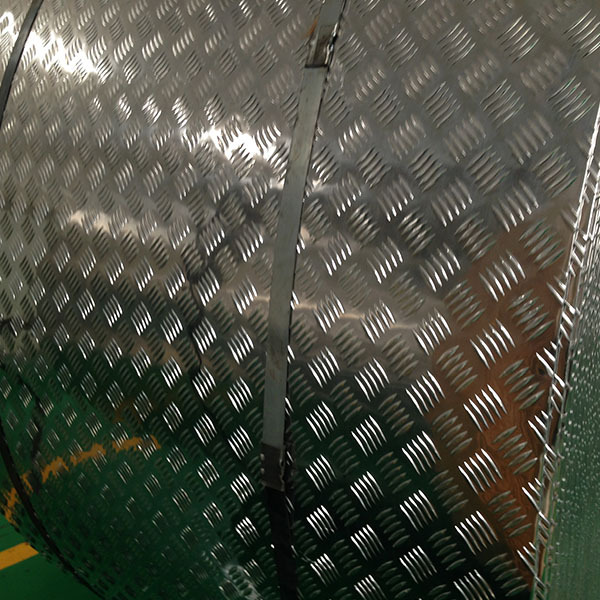 is both a France aluminum series 1050 non slip aluminum coil 5 bars manufacturer and supplier with 20 years experience. So factory price is available. Besides, we use the finest raw material to improve the product quality. Mingtai Al. can manufacture France aluminum series 1050 Aluminum Embossing Pattern Plates 5 bars with many alloy and tempers, and it can be cut to size at customers` need. Mingtai 5 bars non slip Aluminum Coil is Mainly used insigns, billboards, building exterior decoration, bus body, high-rise buildings and factories wall decoration, kitchen sink, lamp, fan leaves, with pieces of electronic, chemical equipment, sheet metal processing parts, deep drawing or spinning hollowware, welding parts, heat exchangers, bell surface and disk, plate, kitchenware, decorations, reflective devices, ect. Mingtai Al. 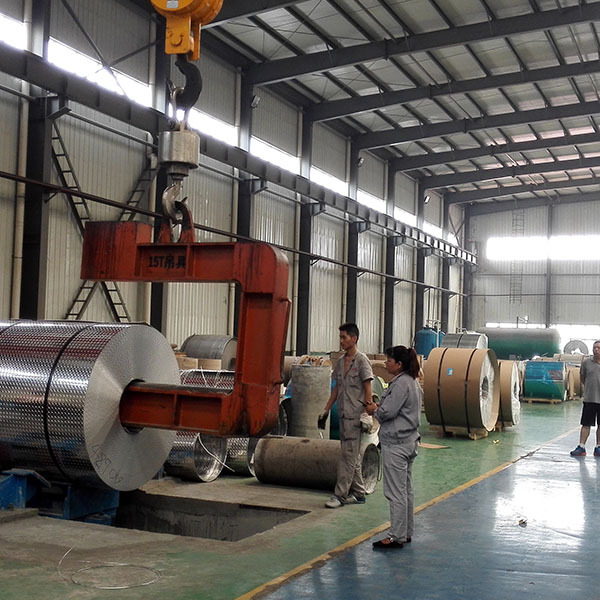 is a comprehensive processing enterprise, which is specialized in production and sales of Aluminum Sheet, aluminum coil, Aluminum Foil and so on. Our company is located in the eastern of Gongyi city, Henan province, China, which is founded in 1997. 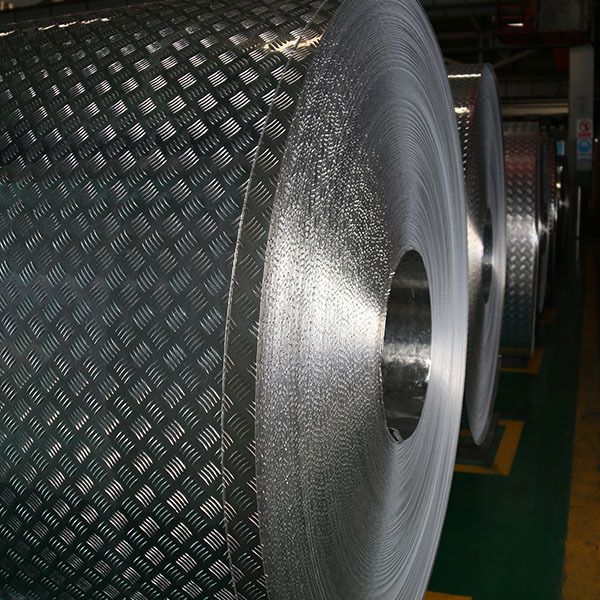 We are mainly producing aluminum sheet, aluminum coil, aluminum foil, etc in 1000 series, 3000 series and so on in various specifications.Our factory has an annual output of 200,000 tons. Our company is strict in the purchase of raw materials, the standardized management of production, and we can accurately control the product indicators, and ensure the stability of product quality, meet the requirements of international and domestic high-end customers. 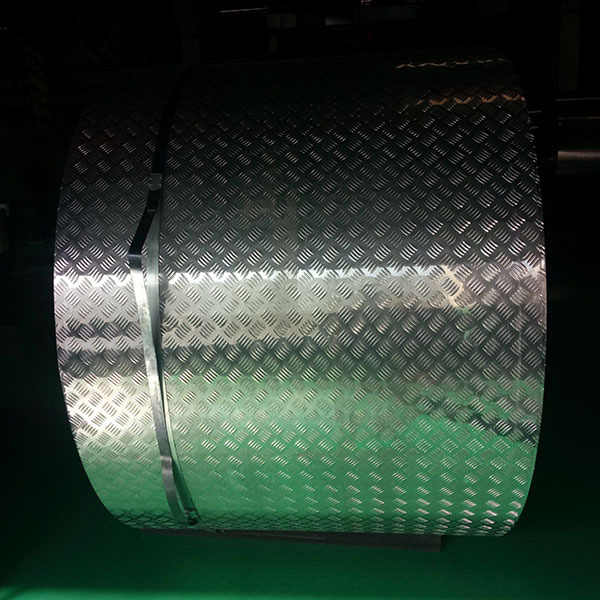 Mingtai aluminum is a professional Tread Plate Embossed Aluminium manufacturer in china, There are aluminum series 1050 non slip Aluminum Tread Plate suppliers in Malaysia to promote the best prices and services for you. Looking for ideal 1050 Non Slip Aluminum Coil Manufacturer & supplier ? We have a wide selection at great prices to help you get creative. All the 5 Bars Aluminum Coil Price are quality guaranteed. We are China Origin Factory of Aluminum 1050 Non Slip. If you have any question, please feel free to contact us.